Representatives from League of Education Voters (LEV) and community-based organizations recently traveled to Baltimore, Maryland, to learn more about the discipline reforms that have been implemented by Baltimore City Public Schools with great success. This is the sixth in the series, Lessons from Baltimore: Transforming School Discipline. Mount Calvary Christian Church has been working for years with members of our community who have been to prison, and we’ve been aware of the “school-to-prison pipeline” for some time. Working with the League of Education Voters (LEV) has allowed us to begin working with members of our community sooner—during the “school” portion of the aforementioned “pipeline”—with the goal of preventing the “prison” part of it altogether. At Mount Calvary, we believe that education plays a major role in nurturing a strong community. Education is power, and it’s what liberates us. Without education, poverty always leads to crime. One of the things we’re doing through our youth ministry is developing relationships with Meany Middle School, Franklin High School, and Garfield High School so that we can implement mentorship and tutoring programs to help students study and prepare for college. I ultimately decided to join LEV on their listening tour of Baltimore schools because of the plight of our community members—particularly that of African American males. I wanted to see what was going on in Baltimore and what had been implemented successfully that we could bring home. One of the messages I heard throughout the trip was “prevention first.” Teachers need to be trained and equipped to give students more than “academic” knowledge—they need to be trained in cultural competency so that they understand where their students are coming from. Many of the issues in the classroom stem from misunderstandings between cultures—if teachers aren’t familiar with the culture or even the neighborhood where their students are coming from, they’re at a disadvantage in trying to understand and relate to their students. Trainings in cultural competency can prevent some of these misunderstandings before they escalate into misbehavior in the classroom. And while discipline is necessary and bad behavior should not be accepted or ignored, Baltimore City Schools has demonstrated that having different options on the table allows schools to better define disciplinary measures that “fit the crime,” so to speak, so that the punishment is congruous to the behavior. Instead of throwing kids in jail or kicking them out of school, which can ruin their chances at success for life, Baltimore has come up with a method that gives students a chance to atone for their behavior, learn from it, and move forward. It was great to travel with a group so passionate about giving every student a chance to succeed in school—and to meet people who shared that same passion in Baltimore. I especially enjoyed meeting Baltimore City Schools Interim CEO Tisha Edwards and Kristina Kyles, Principal of Dunbar High School, both of whom were encouraging and engaging to speak with. They had my vision—one of collaboration. The group left Baltimore energized to continue working toward common-sense school discipline. 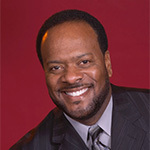 Pastor Reggie C. Witherspoon, Sr. was born in Seattle and founded Mt. Calvary Christian Center, COGIC in 1987 and is committed to the success of the family and young people. Pastor Witherspoon has served as a chaplain and facilitator of group sessions with the detained youth. Pastor Witherspoon held the “Gathering the Sons” dinner that ministered to young men from various opposing gangs to provide a place for dialogue, healing, hope, and love. Pastor Witherspoon has served as a chaplain for the Seattle Fire Department and sits on various civic and community boards.